"Because Rapidwall is fast, Rapidwall frees up investment funds." 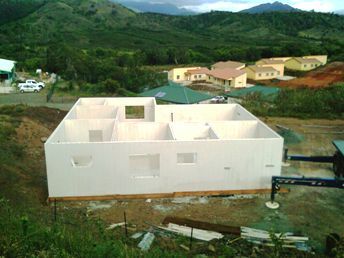 The single panel Rapidwall system serves as both the internal and external wall and eliminates the need for bricks, blocks, timber and steel wall frames and plasterboard linings. What’s more, because Rapidwall is quicker and easier to erect, projects are finished faster, freeing up investment and development funds. Rapidwall is a revolutionary low-cost, load bearing prefabricated walling system with broad construction applications from individual domestic cottages to multi-storey residential buildings. Rapidwall is a world class building system that has been earthquake tested, is cyclone and fire resistant, water and rot resistant, load bearing, termite resistant, sound resistant and 100% recyclable. Simply stated it’s the best building material in the world. 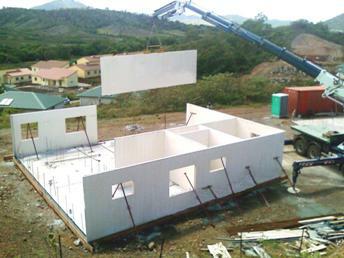 Rapidwall is manufactured in a molding process using glass-fibre reinforced, water-resistant gypsum plaster. All panels are 12 metres long, 3 metres high, 123 millimetres thick and cellular in construction. The formed cells can be used to accommodate building services such as plumbing and electrical conduits and can be filled with insulation for increased thermal performance or concrete for increased structural capacity. Reduced workforce means safer working environment and reduction in OH&S issues. 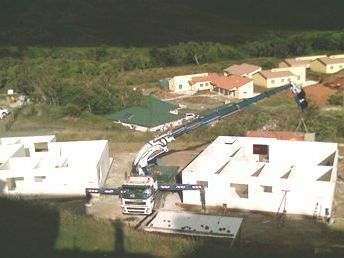 Rapidwall speed of assembly reduces labour costs. Fire, cyclone, hurricane and earthquake resistant. Water and rot resistant, termite resistant, sound resistant. For low-rise buildings a substantial energy saving of approximately 66% can be made compared to Timber Frame, Clay Brick construction. For commercial or industrial construction (over two storey’s) Rapidwall voids are filled with concrete and even then energy savings of about 40% is made. Rapidwall panels are 100% recyclable, virtually carbon neutral and environmentally friendly. Eliminates the need for bricks, blocks, timber wall frames and plasterboard linings.